...a horse, who had a career record of 0 from 12 under Tom George : a trainer of undoubted talent, but just couldn't the best from this one. The horse took a break from racing, moved to David Bridgwater and has won all three of his races since. All three were handicap chases, ridden by Tom Scudamore. He's 2 from 2 at today's trip and coming off a break of 177 days shouldn't be an issue, as he won on his yard debut despite not racing for 723 days! Mister Rockandroll did nothing wrong on Saturday and virtually made all until basically running out of steam inside the final furlong. 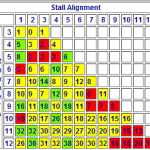 He was weakening and wandering off a true line when the eventual winner cam up his inside and although Joe Fanning did his level best to get our runner back up again, we had to settle for second best. The final margin of defeat was three parts of a length and Mister Rockandroll was sent off at 7/2, half a point shorter than advised. ...whose record over the last few years is excellent here at Plumpton. Since the start of 2011, 10 of his 43 runners (23.3% SR) at this track have been winners, generating level stakes profits of 6.9pts at a reasonable ROI of 16.1%. His runners priced at 6/1 or shorter are 9/23 (39.1% SR) for 10.7pts (+46.6% ROI), whilst his handicappers are 8.25 (32% SR) for 145pts (+58.2% ROI). His runners in handicap chases have won an impressive 8 of 19 (42.1% SR) producing 20.5pts (+108.1% ROI) profit with those chasers priced at 9/2 or shorter winning 7 of 13 (53.8% SR) for 10.4pts (+80.% ROI) with a 2/4 for 1.72pts record on heavy ground. Since the start of 2014, David's heavy ground runners are 10/37 (27% SR) for 15.1pts (+40.8% ROI) profit, with his chasers accounting for most of the success, winning 8 of 20 races (40% SR) and making 16.5pts (+82.5% ROI) profit in the process. Of the chasers on heavy ground, David's go-to jockey of late has been Tom Scudamore, who had ridden 5 winners from 7 Bridgwater heavy ground chasers for an impressive strike rate of 71.4% with commensurate profits of 20.8pts at an ROI of 297.1%! 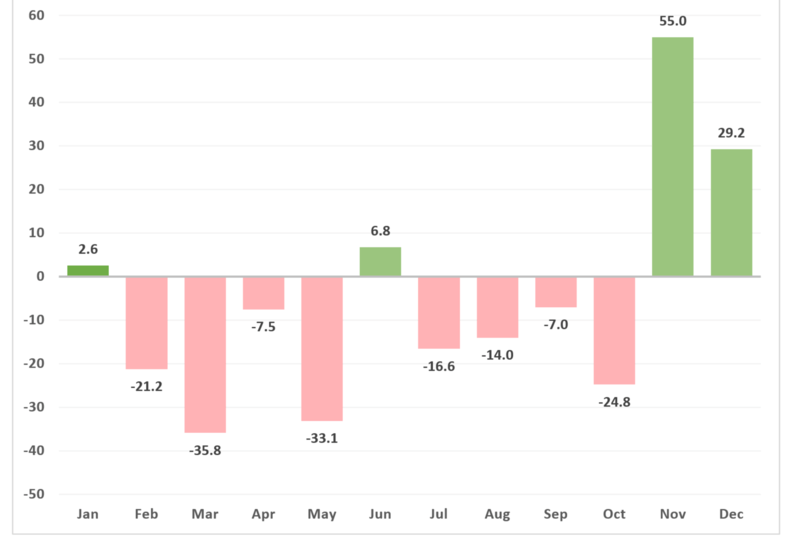 with 26 wins from 95 (27.4% SR) since the start of 2010 producing profits of 35.7pts at an ROI of 37.6%. Handicap chasers account for 10 wins from 26 (38.5% SR) and 11.7pts of the profit (+45.1% ROI). 13 of those chasers have, of course, been trained by David Bridgwater and Tom has 6 winners (46.2% SR) from them and 7.3pts (+56.1% ROI) profit and on those priced at 9/2 or shorter, the record is 6/11 (54.5% SR) for 9.3pts (+84.5% ROI). For his part, Nomadic Storm was unplaced in 2 bumpers and five hurdle races for Graeme McPherson, before switching to the Bridgwater yard 10 months ago. David immediately decided he'd be a chaser and all five starts for his new yard have been over fences with finishes of 31213 revitalising this horse. So, he's now 2/5 over fences (all ridden by Mr Scudamore) and that includes a 1/1 record on heavy ground. He has won over 2m and 2m 0.5f and was third on his only effort over today's 2m1f, but that was his chasing debut here over course and distance, so I'm not expecting track trip or conditions to be unsuitable today. There might be doubts about him returning from a break of 259 days, though, and this is probably why he's not even shorter than 9/4 BOG. There is some comfort though, to those of you who might have some reservations about an 8.5 month absence, as it's not unusual for this yard to win with returners. In fact, since 2010, David Bridgwater's record with chasers coming off the back of a break of 6 months or more is 9/40 (22.5% SR) for 49.2pts (+123% ROI) profit with an 8/24 (33.3% SR) record from those priced 10/1 or shorter, generating 25.3pts profit at an ROI of 105.4%. 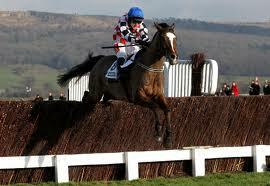 Monbeg was terribly disappointing on Tuesday afternoon and never really featured in the race at all. He was in the rear throughout and began to struggle quite a long way from home and was left a long way behind the others. Although he plugged on to complete the race, he finished a good 55 lengths or so off the winner, as he trailed home last of the 6 runners to finish, despite being sent off as the 3/1 favourite. Where the selection is Oscar Hill, currently available at 5/2 with BetVictor and is trainer David Bridgwater's only runner of the day. David Bridgwater is one of a small group of trainers that you can back blindly in handicap races and still make a profit. His best returns of late have come in handicap chases like this one if you had backed all his handicap chasers in the last three years that were sent off at 8/1 or under, you have made a tidy profit from your investments. In fact, he has saddled up 22 winners from 75 handicap chasers in that timeframe, which is a fantastic 29.33% strike rate and has generated 40.9pts profits to level stakes, a return on investment of 54.5%. 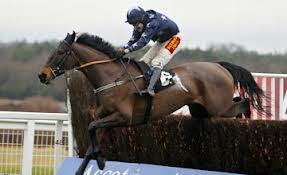 Oscar Hill is still unexposed over fences and comes here on the back of an easy win at Exeter last time out. He made all that day and although he was left in the lead as his nearest rival fell 2 from out, he did look like he was going to win comfortably anyway. As it happens, he got home by some 18 lengths easing down and the manner of that performance would suggest he'll cope with a 7lb penalty to double up here. A slight drop back in trip won't do his chances any harm either. There is a good chance that he'll attract money and go off as favourite for this one, but favourites in handicap races at Ludlow do better than expected with 24 winners from 72 (33.33% SR) in the last two years producing 15.9pts (+22.1% ROI) profit. Favourites in handicap chases have a 35% strike rate (15/40) in that same time period and have generated level stakes profits of 12.6pts, equivalent to 31.5% of stakes. Firstly, a warm welcome to all new Stat of the Day followers, especially those who our friends at More Money Review invited. I hope you enjoy this daily feature, and please remember that it's not magic, and we have more losers than winners. The trick, of course, is to ensure that the winners more than pay for the losers, something we've managed quite successfully since starting exactly a year again. Hmm. In fact, having lost eight lengths at the start, he was beaten less than five at the finish. We don't generally make excuses here at SotD, but that has to be marked down as unlucky. As some of you will know, I recently gave away a free system which focused on a handful of trainers who excel with handicap runners. One of the five in that manual was David Bridgwater. 'Bridgy' is having an excellent year, and his fancied handicappers (priced 12/1 or shorter) have won 13 of 47 starts for a profit of 28.84 points at Betfair SP in 2012. Bridgwater's record at Fontwell is pretty good too: he's won seven of the fifteen handicaps in which he's had a runner priced 12/1 or shorter... and four of the six he's entered this year! That's worth a profit of twenty points, and one of the key elements of that healthy balance sheet is today's selection, Double Chocolate. Double Chocolate is a bit of a Fontwell specialisit. Indeed, of the four races he's won, three have been on this quirky 'horses for courses' track. And all four of his wins have been within a furlong of the extreme three and a half mile trip. In other words, he likes it here. He's won three times on good ground and once on soft, so today's good to soft should be fine too. 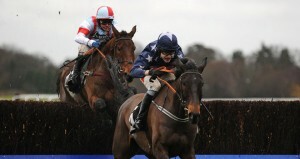 His recent form of 1P7R1312218 becomes 1R11 when distilled to Fontwell only. The 'R' was a 'ran out', when Double Choc bucked and kicked his way to the first and swerved the fence. Obviously not an attractive trait, but that seemed to be a one off, and he's won his other three starts here. This represents a small step up in class, from Class 4 to Class 3, but he's earned that by consistently winning in that lower grade (all four wins in Class 4). Double Chocolate sneaks in here off almost bottom weight, and looks to have everything in his favour for a big run. It's a competitive race, as befits prize money of £11,000, and at the 9/1 available an each way bet is the suggestion. Yesterday saw us finish as runner-up for the second successive day, as Resurge just didn't quite have enough to get home. 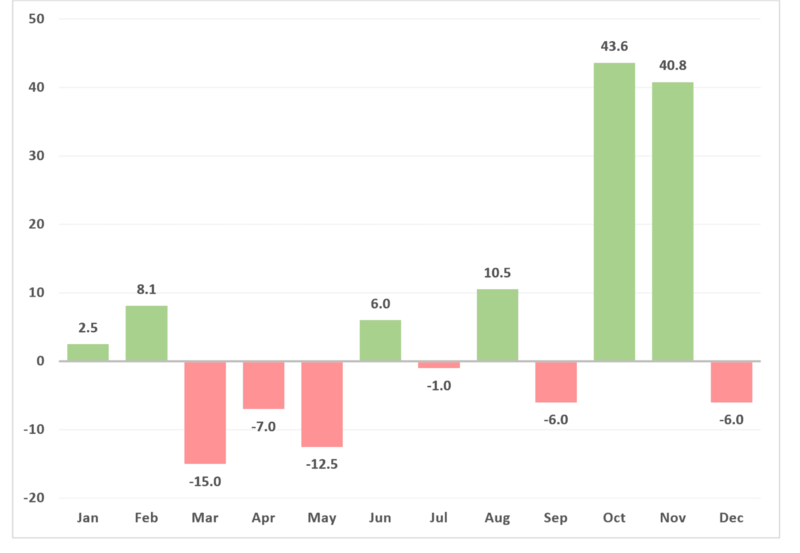 You can't win them all, but September was still a good month as we did win our fair share (37%) on our way to a 25pts profit for the month. But that was last month! And we start October with a clean slate and it's a typically poor Monday to kick off with. But there's no excuses to be made, every race will have a winner and we're going to try a find a result at Britain's highest (780 ft above sea level) flat racecourse. The event is a open-looking 15-runner, 10-furlong, Class 5 Handicap on Good ground. There's no one single standout stat to support any of the runners in this contest, if I'm honest, but there's enough information when combined together to give us a decent chance of making a profit from the race. 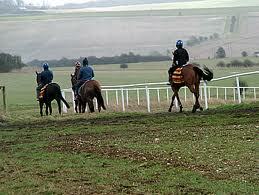 Trainer David Bridgwater doesn't run many horses at Bath: just 4 in the last two years. Yet he's tasted success on two of those occasions, it is admittedly a small sample size, but a 50% record is pretty good and he has just the one runner at the track today in the form of Edgeworth. Edgeworth was a 7/1 course and distance winner on his last visit to this track back in June and has finished third in two of his three other outings at Bath, so he clearly goes well here. Today's trip of 10 furlongs is probably his best distance too: 6 wins from 24 for 15.pts level stakes profits and a further 6 placed finishes for a place strike rate of 50% at this trip. The C&D victory came when ridden by talented apprentice George Downing and George takes the reins again today, This jockey is no slouch around Bath either where he's won 4 of 7 contests for a profit of 22pts. One last pointer I'd like to refer to is the fact that Edgeworth was sired by Pyrus whose progeny are 4/12 at the course. Click here for all the latest odds for the 3.20 Bath.